​Ah, the life of a superfan. It often defies explanation. How do these people find the time (forget about the money) to attend practically every game their favorite team plays in? What do they do when they're not at the stadium? Do they eat actual food, or respire via photosynthesis? 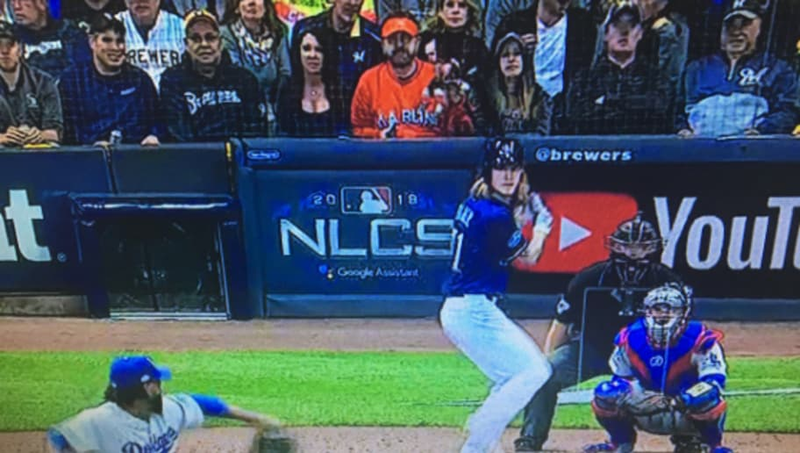 These are the questions on my mind as I learn that the ubiquitous "Marlins Man" was spotted sitting next to Brewers fanatic Amy Williams, aka "Front Row Amy," at tonight's ​Game 1 of the NLCS at Miller Park in Milwaukee. Front Row Amy sitting next to Marlins Man behind home plate at Miller Park. Worlds colliding. Talk about a meeting of the minds! I wonder if anyone told Marlins Man that Miami didn't quuuiiiiiite make the postseason this year? Perhaps he still believes Christian Yelich still plays for the Fish. These two should do a podcast together. Amy can teach MM how to score games, and MM can teach Amy how to be an outrageous Floridian. ​​Yes, these two could be quite a team. Together, they're like Miller Park's answer to Ashley Judd.